to experience images and moods and truths via the deep structure of far-reaching words. 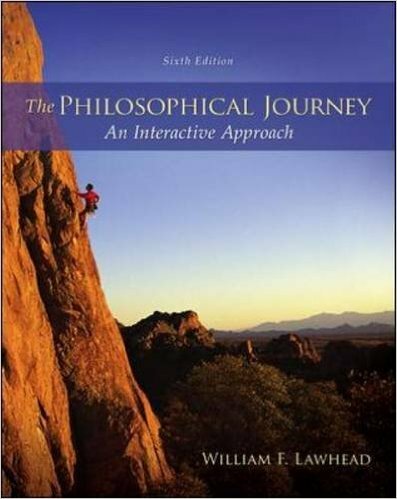 and his philosophical musings to see the world, life, and the cosmos from a different perspective. from Montana to the Middle East, casting lines out upon the turbulent waters and far shores of this troubled world. Consider mirror images in reverse of how we can face Life, dealing with trials, tragedies, and difficulties--"bidingTimeabiding"
Encounter the world of Afghanistan in the poem "The Road to Elsewhere"
Need a good laugh in the midst of so much current human tragedy and political chaos? 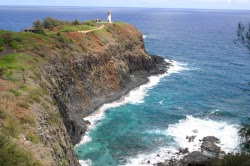 Then head north to Canada's Poetry Pacific Magazine and ruminate on the poem "Retreaded." Or be shocked into action by his Christmas poem, "To Whom It Does Not Concern," on the website, protestpoems.org and a reflection on time and history in "Of Things Past and Present" at Static Movement. Daniel has a deep passion for peacemaking, ethics, and human rights. 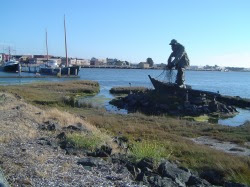 Daniel resides on the central coast of California with his wife and former homeless feline, Smoke. Besides creative writing, he reads a lot, shoots photography, and finds time to swim. Well, it's not quite that bad; Daniel has hiked with his wife in the wild red rock country of the Southwest, in Florida, Maine, Kauai, up in Oregon, and in Olympia National Park in Washington State. for leading a human rights group in Saudi Arabia. "The Specialized Criminal Court in Riyadh has upheld Saudi Arabian human rights defender Issa al-Hamid’s 11-year prison sentence." Call on the Saudi Arabian government to overturn Issa al-Hamid’s conviction...as he has been sentenced solely for the peaceful exercise of his rights to freedom of expression and association. Ask Saudi Arabian leaders to stop arresting and imprisoning human rights defenders. It's tragic that more and more governments are violating human rights. Even worse, as difficult as it is to comprehend, more and more secularists in the United States and else where are claiming that human rights don't exist, aren't real! and in the myths they invent and tell one another. These principles have no objectively validity...that all humans are equal is also a myth"! He also proclaims that "liberty...exists only in their imagination." According to Harri, the views of the Enlightenment founders and the opening preamble of the Declaration of Independence are all wrong. Add that to the many religious leaders worldwide who oppose human rights, and the future looks mighty dim. We Friends need to launch a new abolition movement worldwide to free not only the millions still enslaved in human trafficking, but to give new life to the transcendent truths of equality and human rights and objective ethics. but to the eternal and the truly ethical. morally incapable of reaching up for the eternal "oughtness" that forever confronts him." Gung-ho for Goldwater for president, promoting the U.S. bombing of North Vietnam, Christian warrior-to-be. 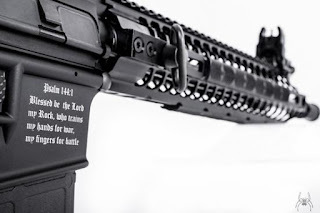 God and Country. BUT then the conservative Baptist edifice of ethical and political understanding came crashing down one Saturday evening at Youth for Christ when an avid Christian girl strongly disagreed with my militant support of the war including the bombing of Hai Phong, Vietnam. I don’t think I had ever considered enemy civilians as real live people like you and me. They were all our communist enemies who needed to be destroyed for God, for Christ. She demanded, politely, that I face what I was really saying. She asked, Would Jesus gun down other humans? Would Jesus push the button that dropped napalm and other heavy bombs? Stunned, I kept dialoguing with her, while she emphasized for me to go back and study the Sermon on the Mount more thoroughly. Up to age 17, it had been my understanding that in the Matthew text, Jesus was talking about personal enemies, such as a grumpy relative or the malicious next-door neighbor. 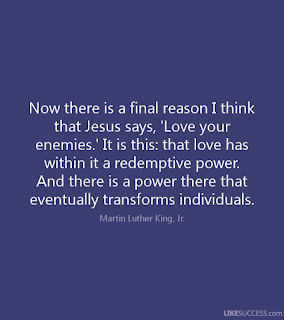 But I soon discovered, that on the contrary, Jesus was saying we ought to love the Roman soldiers (or any other enemy soldiers) who’ve invaded our country, abused us, oppressed us, killed us! Whew! NO one else, not a single other Christian was saying ethical stuff like this. I studied the Sermon on the Mount intensely. Read various opposing views. And I struggled immensely for months. I had already invited the Navy, Army, and Air Force recruiters out months previously to decide which military branch to join after high school; probably, the Navy like my dad and 2 of my uncles, but wanted to make a wise choice. Now all of that was shot-to-heaven;-) by the Sermon on the Mount. I registered for the Draft as a Conscientious Objector. I was going against my parents, my relatives, our Baptist church, nearly everyone I knew. And I lost my best friend because of my anti-war stance. 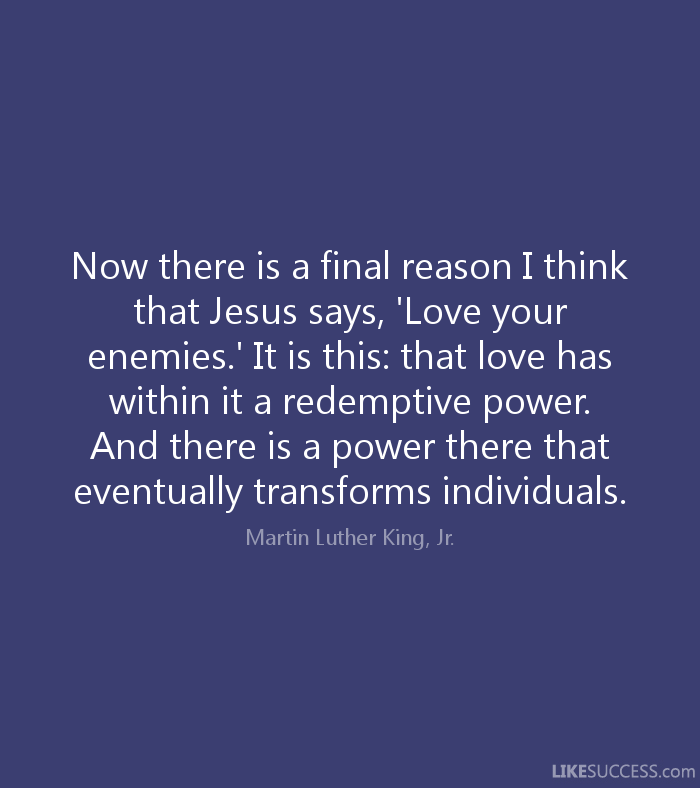 Yet, I really did think this was the way of Jesus. Then I had to go before my draft board and answer their difficult questions about my commitment to Jesus’ ethics, etc. Before C-O service, I worked one summer as a mission volunteer on the Cheyenne Reservation in southern Montana, near the Little Bighorn Battlefield (Custer's Last Stand). I did youth work for Mennonite Missions and talked with a new friend, a Friend, one of a Quaker family doing reconciliation work on the reservation. The town hall, Brent Barksdale Community Center in Lame Deer, had been built years earlier by a young adult Quaker Work-Team. After I was drafted in the spring of 1967, I got assigned to serve at mental hospital if I continued to refuse military service. I did the C-O service at Eastern State School and Hospital in Pennsylvania, just a hop and jump of history from Washington’s infamous crossing, escaping from the British. Working at a mental hospital with schizophrenic, autistic, and sociopathic children and teens, (after driving my van—the Mystical Hippopotamus—across the nation to near Philadelphia). When I visited a Baptist church there, it was shocking, and disconcerting to hear the minister claim that the King James Bible was the only Bible, etc.! Having already long ago—when I was about 13—ceased to believe in inerrancy, and knowing that the KJB wasn’t even the most accurate Bible in translation from the Greek and Hebrew, I left early, may have even skipped out before the sermon finished. Delusionary. Also, most Baptists were very pro-Vietnam War, and Mennonites while against the war, tended to be as literalistic as Baptists when it came to the Bible. Where could I find liberal theists? About then, I remembered the Quaker option, the Society of Friends came into view, me remembering the good times I had spent dialoguing with the Quakers on the Cheyenne Reservation a year earlier. And from my first introduction to Quakerism back in 1960, at about 13, when I saw them on the TV news opposing nuclear weapons. Who were they? They mystified me, that some Christians weren’t in favor of the atom bomb. But why? How idealistic. Now I had the opportunity to find out more, maybe become a Friend. 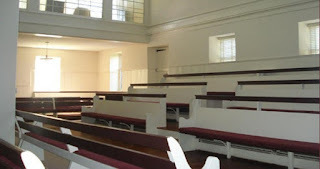 One Sunday, I visited the local Friends Meetinghouse in Newtown, PA. This first experience was incredibly disappointing. In a huge plain church, there was almost nobody there, maybe a several oldsters, and only one other young adult. I got acquainted with her by walking her part way home (coming back for my van later). The Baptist church had been packed. 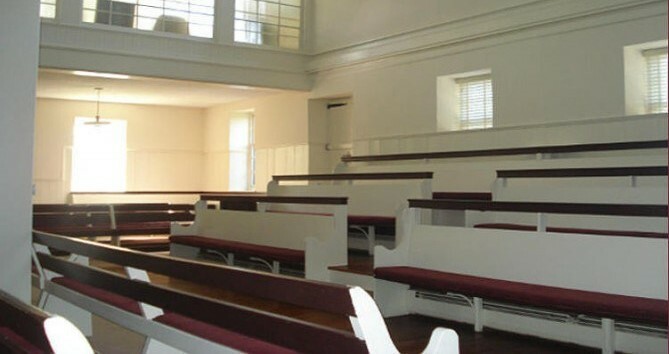 Why so few Quakers? Later I took the L-train into downtown Philly to Backbench Friends Meeting, a young adult gathering (on some of my weekends off; at the mental hospital, we worked a 10-days-on-4 days off schedule). the concrete ramp, through the shallow stream morning and evening. Kudos to Jon Watt, Quaker Speak, and Friends Journal for putting out these engaging, inspirational videos. "QuakerSpeak is a project of Friends Journal, in collaboration with New England Yearly Meeting, Quaker House, the American Friends Service Committee, and Friends World Committee for Consultation, Section of the Americas. The project is directed by Jon Watts." With all the fragmenting, disagreements, even conflicts going on amongst Quakers, in contrast, these spiritually enriching interviews with individual Friends are very encouraging. 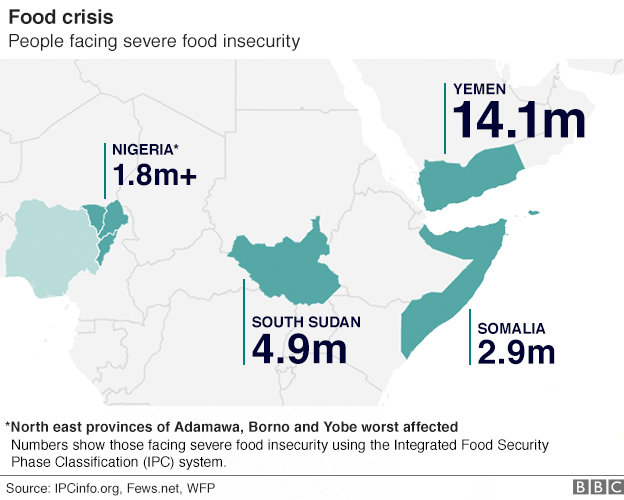 "...more than 20 million people faced the threat of starvation and famine in Yemen, Somalia, South Sudan and Nigeria." "Unicef has already warned 1.4m children could starve to death this year." "Mr O'Brien said $4.4bn (£3.6bn) was needed by July to avert disaster." "It is thought a child dies every 10 minutes in Yemen from a preventable disease, while half-a-million children under five are suffering from severe acute malnutrition." 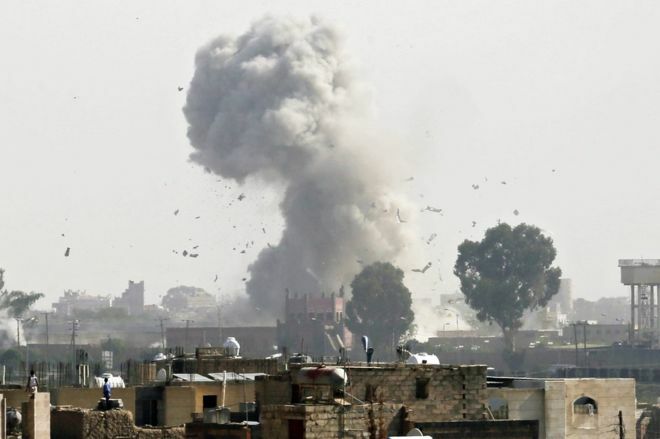 "The UN estimates some 19 million people - or two thirds of Yemen's population - is in need of some sort of humanitarian help following two years of war between Houthi insurgents and the government, which is backed by a Saudi-led coalition." Please stand up by sending help via World Vision, Mennonite Central Committee, Oxfam, Doctors Without Borders, American Friends Service Committee, etc. Continue to witness against the current wars and inequalities and injustices which are the primary cause of these crises. In this heartbreaking disaster, please open your heart. Scientific Name-Dropping: Why a Quaker? The question is why did he identify with the Friends? It is difficult to answer. There has been a lot written about Einstein’s views on ultimate reality. Much of it contradictory. Some thinkers claim he was an atheist, others that he wasn't. "...rapturous amazement at the harmony of natural law which reveals an intelligence of such superiority that, compared with it, all the systematic thinking and acting of human beings is an utterly insignificant reflection." “In the struggle for ethical good teachers of religion must have the stature to give up the doctrine of a personal God, that is give up the source of fear and hope which in the past placed such vast powers in the hands of priests." At times, Einstein identified as a pantheist, at other times as an agnostic. "I believe in Spinoza’s God, who reveals himself in the harmony of all being, not in a God who concerns himself with the fate and actions of men." "I’m not an atheist and I don’t think I can call myself a pantheist. We are in the position of a little child entering a huge library filled with books in many different languages...The child dimly suspects a mysterious order in the arrangement of the books but doesn’t know what it is. That, it seems to me, is the attitude of even the most intelligent human being toward God." "A knowledge of the existence of something we cannot penetrate, our perceptions of the profoundest reason and the most radiant beauty, which only in their most primitive forms are accessible to our minds—it is this knowledge and this emotion that constitute true religiosity; in this sense and in this sense alone, I am a deeply religious man." But he explicitly rejected organized religion, especially, opposed orthodox Judaism and creedal Christianity, the anthropomorphism of a “personal god,” life after death, etc. Sometimes Einstein spoke of ethics and meaning, at others insisted that everything--including humans--is determined. Did he identify with Quakerism because of its strong sense of wonder? 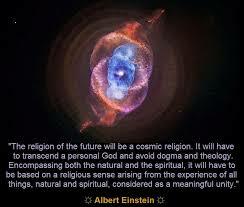 "The religion of the future will be cosmic religion. It will transcend personal God and avoid dogma and theology." "...if I could ask God one question...I would want to know why he started the universe. For once I knew that answer, then I would know the purpose of my own life." "“Though religion may be that which determines the goal, it has, nevertheless, learned from science, in the broadest sense, what means will contribute to the attainment of the goals it has set up." "But science can only be created by those who are thoroughly imbued with the aspiration toward truth and understanding. This source of feeling, however, springs from the sphere of religion." "To this there also belongs the faith in the possibility that the regulations valid for the world of existence are rational, that is, comprehensible to reason." "I cannot conceive of a genuine scientist without that profound faith. The situation may be expressed by an image: science without religion is lame, religion without science is blind." “It would not be difficult to come to an agreement as to what we understand by science. Science is the century-old endeavor to bring together by means of systematic thought the perceptible phenomena of this world into as thoroughgoing an association as possible. To put it boldly, it is the attempt at the posterior reconstruction of existence by the process of conceptualization..."
"Accordingly, a religious person is devout in the sense that he has no doubt of the significance and loftiness of those superpersonal objects and goals which neither require nor are capable of rational foundation. They exist with the same necessity and matter-of-factness as he himself. In this sense religion is the age-old endeavor of mankind to become clearly and completely conscious of these values and goals and constantly to strengthen and extend their effect. If one conceives of religion and science according to these definitions then a conflict between them appears impossible." "For science can only ascertain what is, but not what should be, and outside of its domain value judgments of all kinds remain necessary. Religion, on the other hand, deals only with evaluations of human thought and action: it cannot justifiably speak of facts and relationships between facts. According to this interpretation the well-known conflicts between religion and science in the past must all be ascribed to a misapprehension of the situation which has been described." "For example, a conflict arises when a religious community insists on the absolute truthfulness of all statements recorded in the Bible. This means an intervention on the part of religion into the sphere of science; this is where the struggle of the Church against the doctrines of Galileo and Darwin belongs." "On the other hand, representatives of science have often made an attempt to arrive at fundamental judgments with respect to values and ends on the basis of scientific method, and in this way have set themselves in opposition to religion. These conflicts have all sprung from fatal errors." "The further the spiritual evolution of mankind advances, the more certain it seems to me that the path to genuine religiosity does not lie through the fear of life, and the fear of death, and blind faith, but through striving after rational knowledge. In this sense I believe that the priest must become a teacher if he wishes to do justice to his lofty educational mission." ...the "eternal mystery of the world is its comprehensibility." Because Friends philosophy and theology are less anthropomorphic? Because some Quaker leaders have been brilliant scientists? reconciliation, civil rights, and justice? For Einstein did state, "If one purges the Judaism of the Prophets and Christianity as Jesus Christ taught it of all subsequent additions, especially those of the priests, one is left with a teaching which is capable of curing all the social ills of humanity." Also, why did he say he was a “Jew” since he strongly rejected Orthodox Judaism? was his Quaker statement more of a cultural outlook, too, that he liked the culture and social nature of the Friends? what he called the "music of the spheres." contrary to his very negative views of all other religions? *This isn’t an appeal to authority—except in a bit of questioning. Besides, what his philosophical views of reality aren’t necessarily more valid (and to be followed) just because he was a brilliant physicist. Views outside of one's profession aren't valid or invalid just because one has said them. Journey to the Edge of the Universe. Despite having read a fair number of science, astronomy, and cosmology books in my brief time, including one I am still reading, The Elegant Universe by astronomer Brian Greene, I was still wowed by this excellent documentary. The film is user-friendly, but not basic. It stretches the mind. And one feels awe and admiration, and a sense of infinity. 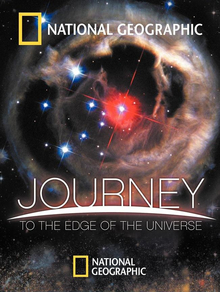 Thanks to National Geographic for creating the film, and for ever-rewarding Netflix making it available. And the movie was a welcome vacation from the daily news. In the midst of so much wrong, sorrow, angst, despair, and human debacle, it was a very good time to step back and take a cosmic view through a science video. Viewing and hearing about the limitless, intellectually beautiful structure of the universe, and it's cosmic journey creating time and space as it advances into an ever expanding reality, was exhilarating and helped me keep the current bad religious and political scene in perspective. 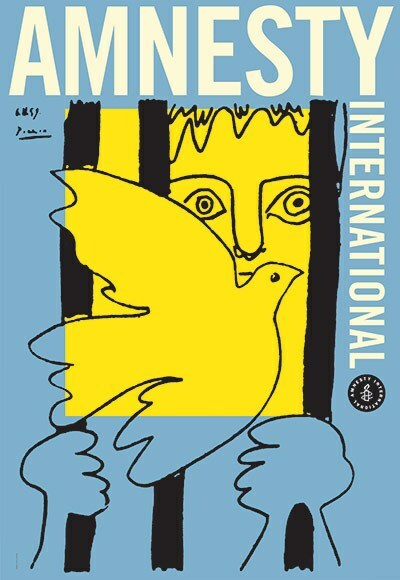 in numerous leading human rights defenders facing life imprisonment." "On 9 February, the El Nadeem Center for Rehabilitation of Victims of Violence (El Nadeem) was raided by police and shut down." "The centre filed a judicial appeal against the decision before an Egyptian court the same month. However, police carried out the latest raid without waiting for the outcome of the appeal. In November 2016, the Central Bank of Egypt also issued an order to freeze the organization’s bank account." 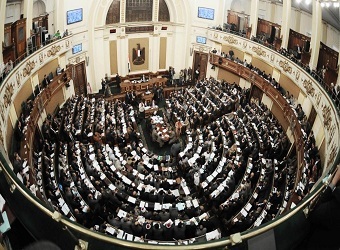 Over the past year, judges have been overseeing a criminal investigation into the activities and funding of Egyptian human rights organizations...HRDs may face up to 25 years in prison and a fine of LE500,000 (US$ 27,528), if convicted of the charge of receiving foreign funding to damage Egypt’s “national interests”, “peace”, “unity” or “security” under Article 78 of the Penal Code." "Since early 2016, at least 22 NGO workers, including directors, have been summoned for interrogation; 18 human rights activists and defenders have been barred from travelling; and asset freezes have been imposed against 7 NGOs and 10 individuals." On 29 November 2016, Parliament approved a new draft law, replacing the existing associations law, which would severely restrict the work of NGOs." 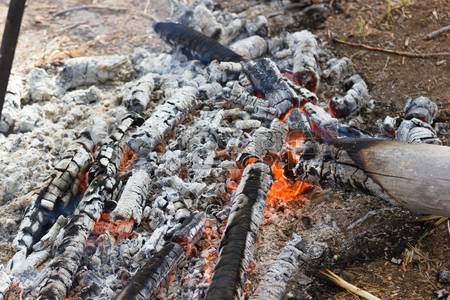 I feel the need to kick at the ashes, trying to find if any embers are left. For instance, consider Johan Mauer's and Chuck Fager's disconcerting reports this week on the breakups of NWYM and NCYM. What happened back in camping days when we kicked apart the last few sticks of an old fire? It went out. What's happened with Indiana Yearly Meeting since its split several years ago? I just urled over to West Richmond Friends Meeting to see how the New Association of Friends is faring. Hopefully, that is just a temporary glitch in their Internet connection, not a comment on their new yearly meeting. And what is the word from the get-together at Hillsboro Friends Meeting in Oregon, as NWYM is kicked apart? 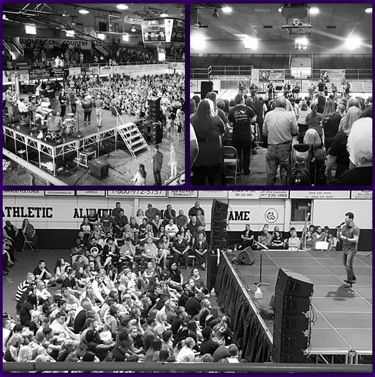 Last weekend a few meetings (being "released" by NWYM) gathered for a time of silent worship and sharing. I wonder what if any new direction for them came to light. Last I heard Friends United Meeting has had to greatly reduce its staff. What's happening, if anything, there? So much FUMing, so little Fire. Tragically, it appears that current crises are going to end down like past grievous splits among the Friends, such as the Orthodox versus Hicksite breakup in the 19th century. and Quakers in California (about their split apart) by David C. LeShana. but all the wrong now doesn't make it look good. And what of Friends General Conference? There have been some new directions in the FGC. Does anyone have new information about those yearly meetings? Some Yearly Meetings appear to be only Friends in name. 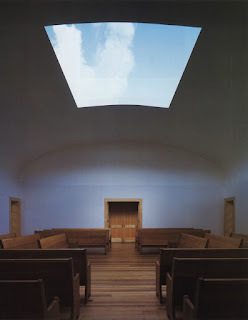 Since California Yearly Meeting's negative departure from Friends United Meeting over 20 years ago, any centering on Friends' theology and ethics in that yearly meeting has long ago died, only cold ashes left. And maybe even the ashes have been swept away. While lapping up long lengths of the swimming pool last night, another reflective project splashed (like the proverbial salmon or cod) into my consciousness. Enclosed is the beginning of a philosophical timeline of my life--less than a quantum blink in cosmic time--which shows how I came to the place I am now, and the journeying and struggles and radiances. Hopefully, my own backwards reflection and chewing of life's cud will spark (to change metaphors midstream;-) your own musings and reflection of your lives. When I was still young, and about to meet a new person, my parent would remind me not to ask questions, or talk a lot. 2) At a small age, before first grade, my Aunt 'Barbrie' used to often child-sit me, because both of my parents worked late jobs. She was a wild (in an innocent sort of way) young woman who at bedtime told me incredibly creative science fiction stories she made up on the spur of the moment. Great space ships left earth to other planets; the planets were strange and different. And she told me about a boy, just like myself, who built a space ship in his backyard. Maybe those early stories were a factor in my childhood--and life-long--love of science? 3) By the time I was 5 or 6, I began trying to figure out God, this mystery that everyone talked about, and my father, as a Baptist minister, preached about every Sunday morning. I did this, partially during the sermons, while I moved a little toy car about in my winter coat sleeves and on top of it; and remembering I mustn't say a word or ask questions until the end of the service. Contrary to the caricature of what atheists claim all Christians and theists believe--that God is "Sky Father/Super Person,"
Rather, in my little imagination and beginning of abstract reasoning, I thought God must be like gas:-), like the air, invisible but everywhere. 4) Then by 8 years of age, I became very aware of ethics and my own part in it. Consciousness and conscience met. 5) In elementary school (3rd or 4th grade), a librarian used to lend me new books (beyond my years) and I learned about Neanderthals, the prehistoric, and more about dinosaurs, and science fiction. My dad used to talk with me about prehistoric times, as well as space travel. He was a history teacher, Baptist preacher, carpenter, small town farmer, and handy-man. As far as I know, no one in our family was ever "young creationist" in the sense that is meant by most conservative Christians and secularists now. While such labels may describe many or most fundamentalists and evangelicals, my own growing up years were very different. I guess we would have fit in the "Old Earth" category, because we thought the world was very old as proven by dinosaur skeletons, and that prehistoric men had existed as evidenced by Neanderthals' remains found in excavations in Germany and elsewhere. We did believe in the Genesis Flood. 6) But my devout naive faith and hope came crashing down at the fairly young age of 11 years. Our Sunday School teacher told us God sent bears to punish kids who were making fun of the prophet Elisha's bald head! I immediately raised my hand, very upset. This chasm opened up severe doubt within me. 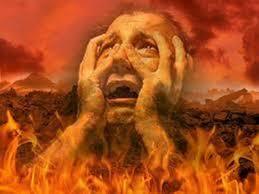 How could the Bible and adult Christians believe such horrific things about God? I refused to accept such stories. The God I hoped in wasn't at all like that. 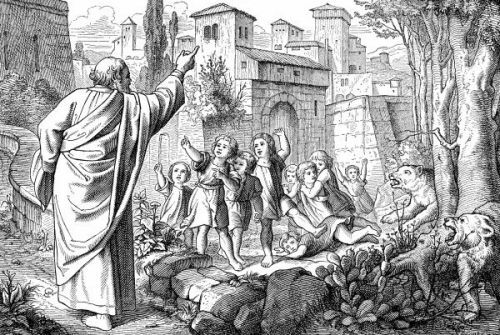 7) About this time, or maybe a little later, I learned the Baptist view (at least of our church) that St. Augustine was a false teacher, that Original Sin and infant baptism were horrific wrong beliefs which Roman Catholics believed. We Baptists didn't accept the Creeds of the Catholics, Lutherans, Methodists, etc. We were non-creedal and humble of it;-). 8) Then as an early teen, I discovered the passages in Scripture which condoned, supported, and caused slavery! If the Bible was God's Word, how could it be so wrong about this horrific evil? This ethical contradiction bothered me deeply for years, as well as other horrific actions, stories, and demands in Scripture. 9) By the time I was 13 or 14, I quit thinking the Bible was inerrant. Too many wrong parts. It couldn't be, though, I continued to think that many key passages were inspired by God. When I asked my dad and to other Christian leaders, and read books which explained problems in the Bible, their answers didn't satisfy, not in the least. This controversial issue--and plenty of other wrongs and errors in the Bible--still troubles me. And how is it possible that many bright, even brilliant, highly educated adults really think the Bible is "inerrant"? Why do so many churches and denominations insist that Scripture is error-free, perfect? Clearly, despite their irrational faith, the Bible is in error in many places. And, of course, later when I studied textural criticism, etc., I learned of the many thousands of other errors, of serious historical errors, of grievous scientific errors, copy errors, and so forth. 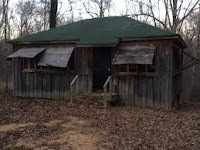 What a rousing time with campfires, games, Bible studies, exultant singing, and the fun of running through the night, knocking down the wood braces which kept the wood window covers open in the campers' cabins. I don't remember if I actually ever did that, but rooted for those few who did; what fun:-)! 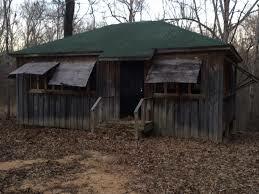 Especially if it was one of the girls' cabins. By the time I had reached 12, I was completely girl-crazy. There at that Baptist summer camp, philosophy showed up vividly and got personal, too. I dedicated my life to God one inspirational night after a powerful sermon about how we need to choose to commit our lives totally to God and to change the world. Strangely though when I got home and excitedly told my folks, they were dismissive of my experience. They told me I was already a Christian, and, basically, 'don't get carried away'! 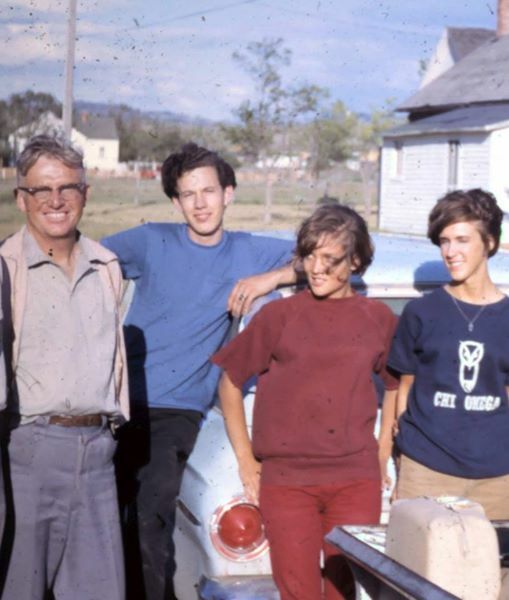 I guess this shows how moderate--middle of the road-- my folks were in their fundamentalism, not extremists. They had met those extreme "fundamentalists--the GARB ones in college, a very bad experience for them. Whenever I got "too religious," like the time I went around our small town putting evangelistic tracts on car windows, they cautioned me to be moderate. My dad and mom were practical people, not given to dramatic religious experience. They also thought no miracles--like the ones in the Bible took place now. TV preachers, according to them, were con-artists, fakes. Rather, what counted in life was being a strong Christian who lives right and good, succeeds, treats others equally, and helps those in need. 11) The older I got, the greater my questioning. I'm surprised I didn't turn into a question mark;-). When I was 16 (15?) and asking and thinking deeply about philosophy and religion, and always involved in reading religious books, I came to view God as the "Ground of All Being." We read Plato's The Cave, and complex explanations of famous philosophers, and talked and talked, etc. My understanding of the world, life, existence, the universe kept expanding. This exciting class was taught by my favorite teacher, who also taught history and debate. He was an agnostic, had a dry sense of Mark Twainian humor, and made side comments against religion, politically correct ideas, and so forth. Later when I became an educator, I modeled my teaching on his methods and style. And that year, we studied Transcendentalism in American literature. Emerson's and Thoreau's view of reality greatly influenced me, though I opposed some of their beliefs. 13) But then, at 17, another life-changing crisis blasted forth--one struggle which has lasted for 53 years! I encountered Christian Calvinism, Reformed theology. The Christian leader was our teen Bible study teacher in Lincoln, Nebraska. (How did a 'free-will' Baptist like me, end up in a Christian group led by a Calvinist? When I asked (questions, again) this Christian leader, he declared that Christians ought to kill for God. Shocked at his certainty and the way he stated it, I responded, "I don't think God would ever command us to kill others." He proceeded to quote passages from the Old Testament. According to him, God would sometimes command Christians to do what is "immoral." Quickly, it got terrible. I learned the worst--Calvinists, Augustinians, and Lutherans think most of the billions of us humans are foreordained to hell, to eternal damnation, condemned before the whole cosmos began! Calvinists claim that God doesn't love everyone, but only loves a limited number of humans. What!!!!! :-( I've never gotten over the shocked horror of that. The bears, even slavery, now seemed minor issues; this new horror was like falling from a 10-thousand-foot cliff. Other Christian leaders claimed that only the Creeds are true Christianity, not our Baptist beliefs--those are "heretical." So for the first time, I checked out these infamous "Creeds." Got a large tome from the public library. To say I was devastated and baffled is an understatement. These creedal statements were NOTHING like our Baptist faith, nothing like the Christianity that I deeply trusted in. The creedal theology was so contrary to everything we believed about life and existence. And the Creeds made very bizarre statements such as that Jesus is totally God and totally human, etc. They seemed irrational, ridiculous, and absurd. How could any thinking human possibly believe that Jesus was God?! 14) Then at 18/19 years of age, I went off to university, first to the University of Nebraska, then transferred to Long Beach State in California. At the latter, most of the professors were outspoken atheists. Very brilliant men, I looked up to. Two great profs were agnostics, the second one a Jewish agnostic. It was the fall of 1966, a very volatile time. The best of times, the worst. I learned so much. But fairly quickly I came to see that Christianity probably isn't true, at least not what I had believed, and certainly not denominational religion. (like our profs and most of the students I knew). 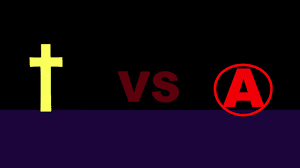 Atheism generally rejected the reality of objective ethics, and was in very serious error in claiming to know for sure about the ultimate nature of the cosmos, of Reality. We often discussed philosophical, ethical, and political issues between classes, disagreeing, reflecting, and countering. How could anyone know that the vast cosmos was "meaningless" and "purposeless"?! True, as a liberal Baptist, I thought that existence was "meaningful," but I didn't "know" that; rather I had faith it did. So though Christianity had deep problems, (and I strongly rejected the major Christian traditions of the Creeds), I knew that ethics are real, not "subjective" stuff humans make up. I could see that in the Civil Rights Movement, and other issues. My first protest march was against Apartheid in South Africa. Another troubling factor was the unethical behavior of some of the professors and atheist students. When they defended unethical actions, and lived them, I realized, I didn't want to go down that river. My two best friends were atheists. Worst of all, I saw how their nontheistic lifestance was harming them. But now--over 50 years later--I wish I could have a second chance at that drastic decision on the quad. No, there are many different philosophical lifestances humans can consider, think about, and choose from. I do know I would reject Atheism again. After over 50 more years of studying Atheism, reading lots of books by many famous atheists, talking with thousands of them, I am more intellectually convinced that Atheism is incorrect. Besides, I don't identify my central views by what I am not. BUT what I would change, is that I would leave organized Christianity. Would you like to share your own philosophical timeline?